A recent survey carried out in the U.S. showed that 7 in 10 drivers do know their available options in regards to recycling their car’s battery. This issue is highlighted by the fact that over 2 million car batteries go un-recycled each year, and their presence in waste removal areas continues to cause an environmental challenge due to the various harmful chemicals now contained within the modern vehicle battery. The Johnson Controls survey highlighted the following myths among the general US population. 71% of Americans Believe Batteries can only be sent to Specialist Recycling Centres. A large percentage of the people surveyed were convinced that batteries had to be recycled by specialist recycling companies using expert equipment for careful disposal. The fact is that vehicle batteries, both in the U.S. and Canada, can be dropped off for recycling at a broad range of auto facilities, including auto shops, retail companies and parts suppliers. This shows the many options available to help effectively dispose of used car batteries. While the recyclability of aluminum cans is now common knowledge among those living in the U.S. and Canada, few know that vehicle batteries are actually made from components that are 99% recyclable. 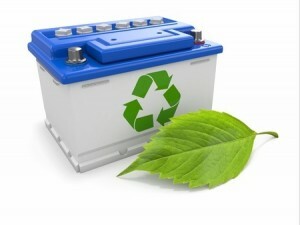 This makes the process for recycling car batteries quite effective, and allows for the majority of the battery materials to be re-entered into the marketplace. One of the more pervasive myths surrounding the car battery recycling issue is the idea that a majority of batteries are sitting in landfills around the country, causing damage to the environment. While 2 million car batteries go un-recycled each year, 97% of the car batteries in the marketplace are recycled effectively. Due to the increase in recycling knowledge and ubiquity of quality recycling programs, environmental groups across Canada and the U.S. are now making headway on this issue. The statistics from this survey highlight the importance of educating the general public on their options when it comes to car battery recycling. By working with automotive specialists across North America, vehicle owners can ensure that their vehicle batteries are recycled effectively by industry experts. To learn more on the issue of battery recycling, contact our team directly.